Jay Pyburn was a lot of fun to hunt with. He wanted to get a Gould's turkey with his bow and arrow. Jay Pyburn kept us laughing most of the trip! Watch the great afternoon hunt unfold with Jay Scott and Hunter Haynes. 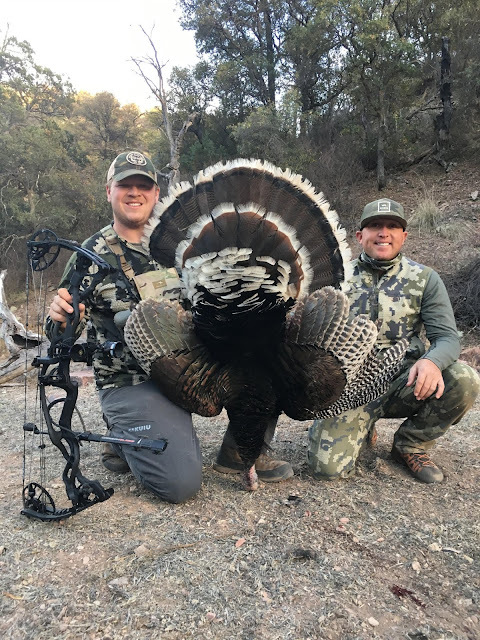 Doug Jones and His son Bret along with their friend Kevin had a lot of action on their Gould's hunt with us. 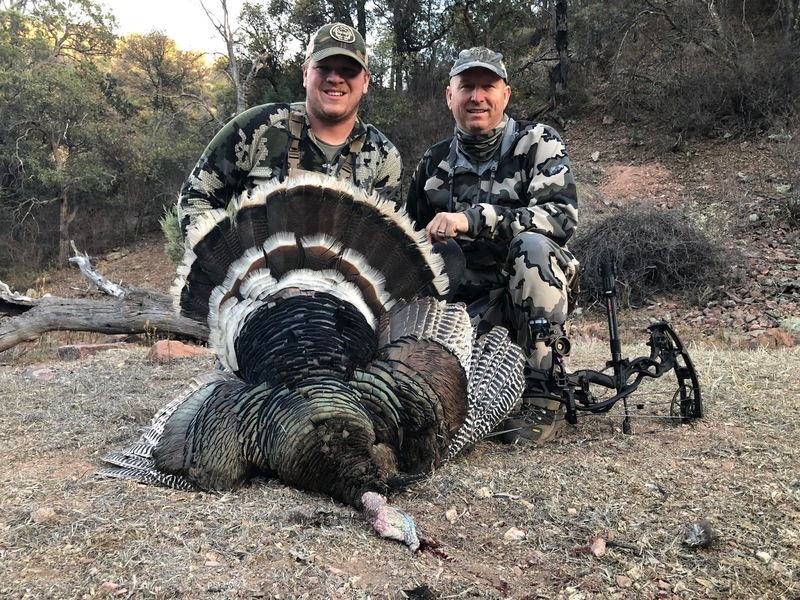 Ulf and Bill had won their Gould's turkey hunt through the Arizona Deer Association raffle and the other guest on the trip was Richard Manly from Georgia. 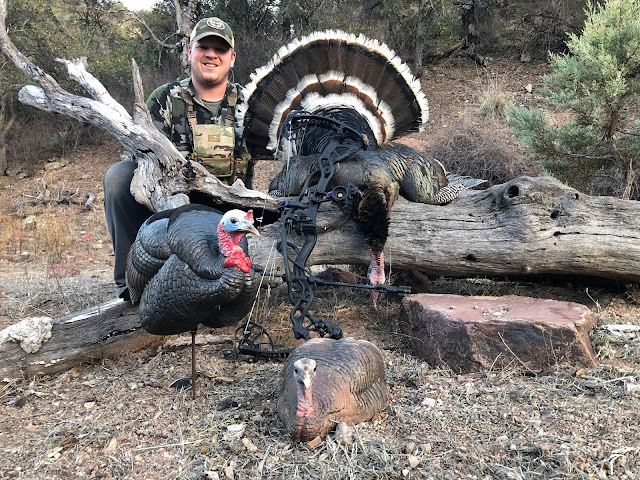 All three hunters got their Gould's turkeys in dramatic fashion as you can see in the videos below. Chad Holt and Brenden Mannell are hunting buddies from Kansas. They came out to get their Gould's turkeys. They had a couple of great hunts with guide Hunter Haynes.